This post will be a little different then those prior to it. 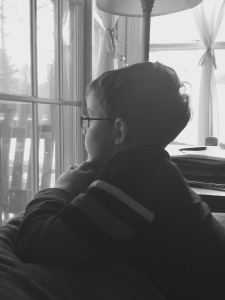 While I have spoken on several occasions how autism has affected our family, and written about our many struggles and triumphs, I have not always shared how the misunderstandings of others can often make us feel. We have had many a success. Many a trial. Learned many a lesson. The overall incidences of autism are increasing, yet understanding and support is often still lacking. And, after 4 and a half years of jumping the hurdles of autism, it still surprises me that our struggles are often dismissed. You probably don’t even realize you are doing it. I am sure you say these things in order to try to make us feel better. To bring a bit of “normal” into what often isn’t. But, honestly….you unknowingly dismiss our struggles.